My youngest son is train mad. He lives, breathes, eats and sleeps trains. We live next to a train/tram line and even though they pass every 10mins or so, it's so endearing to see him rush to the window and point them out to me like I've never seen them before. 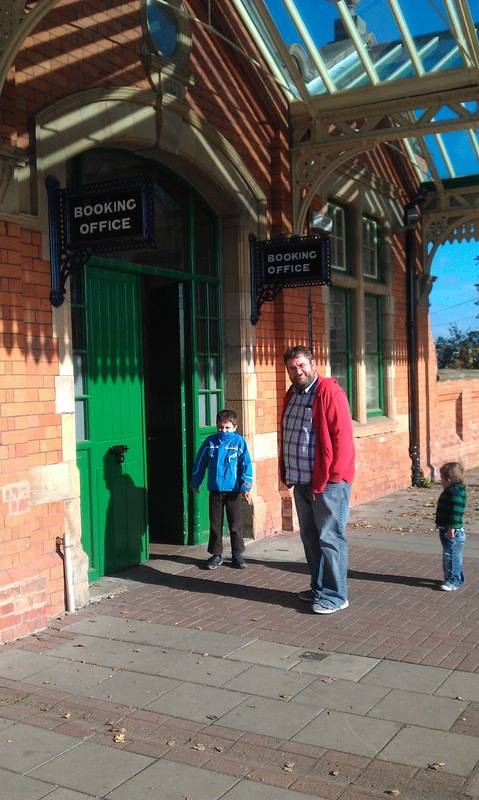 I decided to try and find a fun family activity for half term and I soon came across the Great Central Railway in Loughborough. They had a special offer on over half term and whilst my eldest doesn't share his brothers train enthusiasm, he was interested in the free Halloween activities they had an offer. The station was easy to find using the sat nav but it's on street parking so it's worth bearing this is mind during busy periods. The Halloween decorations were plentiful and they even had circus performers to entertain you whilst you waited to depart! There was free face painting and Fin chose to have his face painted straight away. 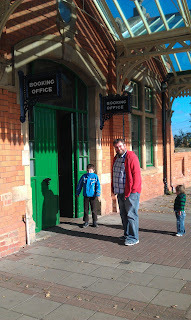 There were a few activities dotted around like a 'trick or treat' museum but as Milo was excited to get on the train we thought we'd do that later. 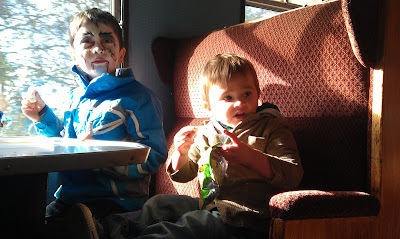 We had planned to board the official 'Halloween Express' train which promised a dressing up competition and free sweets but it was so cold that day (and Daddy didn't bring his warm coat...) that we decided to take shelter on the first train off the platform and then hop on/off at the different stations. 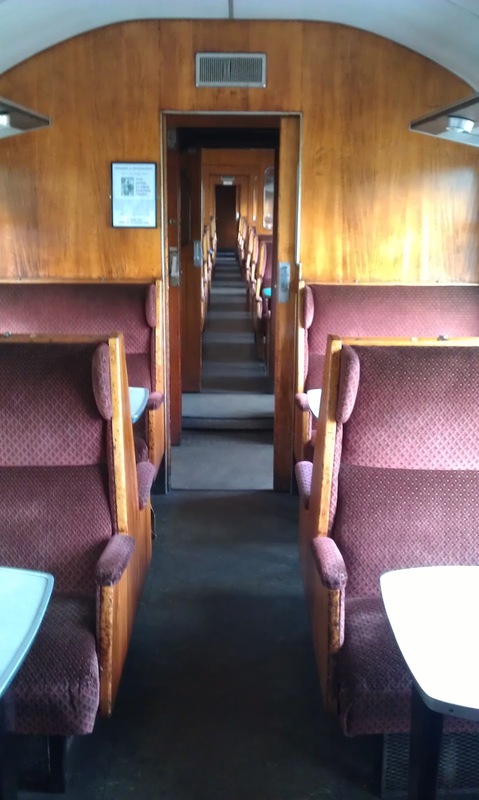 Your ticket allows you on and off the trains all day and after reading reviews on Trip Advisor I found that this was actually encouraged so you could sample the different types of train. We ate our packed lunch on the train and set off to take in the sights. The boys were glued to the windows so we got to eat in peace! It all seemed a bit quiet at each stop until we actually boarded the Halloween Express which was bustling with mini monsters and ghoulies in fancy dress. We managed to get a table seat and noticed that the train had been decorated on the inside too which was really festive for the kiddies. 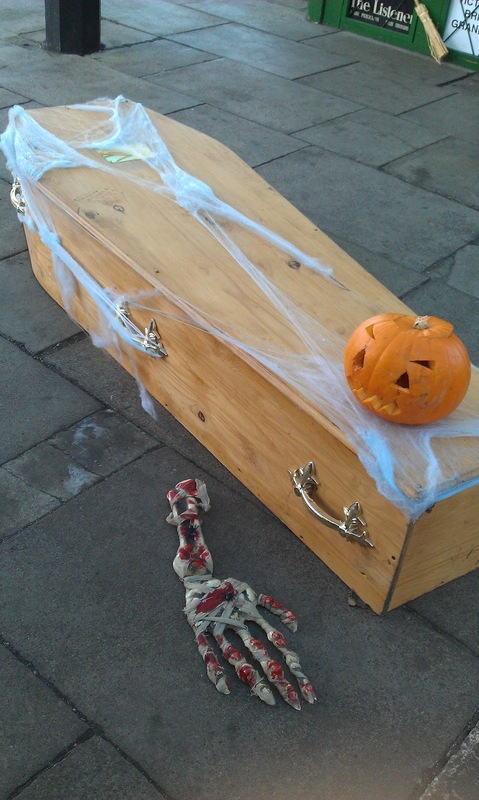 Disappointingly though, we saw no sign of anyone bearing sweets or judging a fancy dress competition and my eldest was really upset as this is what he'd been looking forward to all day. I suspect that the activities had taken place at the start of the journey and as we'd joined in at the 2nd stop all I can assume was that we missed it. 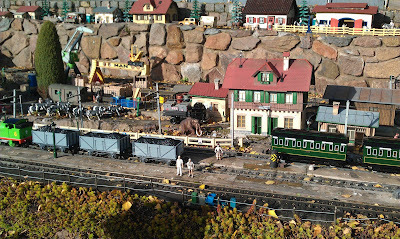 The model train at Rothley was fab! 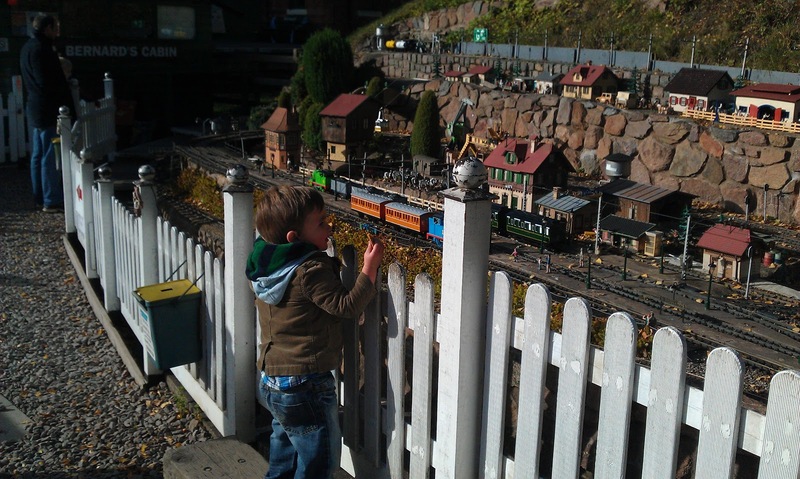 Milo loved the station at Rothley which boasted a beautiful platform and miniature railway with working model Thomas trains. They had a lovely snack bar and some toy trains to play with so we got a chance to relax and take some photos whilst the boys played. This stop was our favourite and I really felt like I stepped back in time for a family day out. 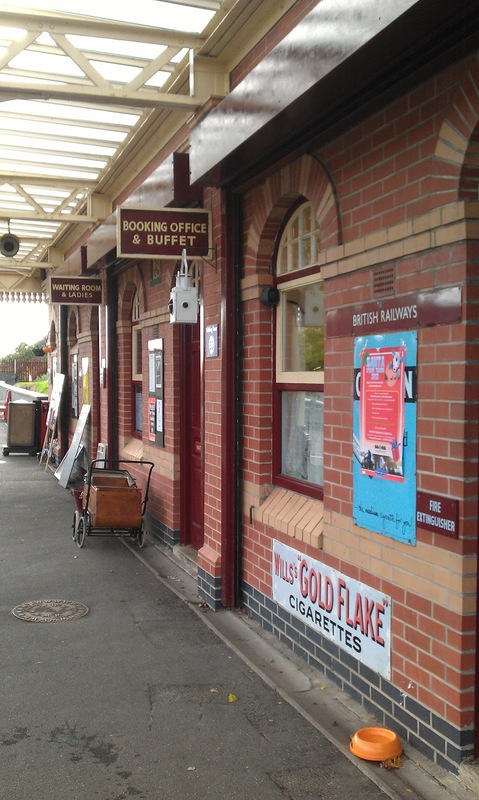 You can see that a lot of effort has gone into preserving the whole railway and each station stop is crammed with props and posters from yesteryear. Once we got back to the main station at 3pm we looked around for the activities we missed a few hours earlier and found them all shut down. The last train ride wasn't for another hour and we saw a family enter after we left so I have no idea why the festivities were shut down so early - it still seemed busy enough to me. Milo did get some free Thomas megablocks so he was happy but at this point my 8yr old was a bit fed up so we made our way home with Milo waving at every train as we went. 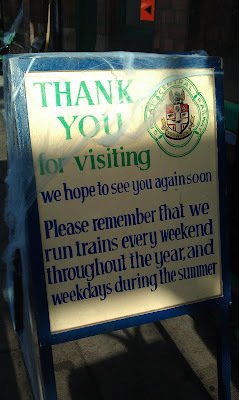 I'd definitely go to GCR again and I hear their Santa Express is quite popular with the kids. The main journey is about 40mins in duration and it's a journey through beautiful countryside so if you're a train enthusiast I'd recommend it. I'm not sure I'd pay for the family ticket again as my eldest wasn't as interested and in hindsight I might be tempted to go straight to Rothley next time as Milo enjoyed seeing the trains and playing the most. I heard someone mention a platform only ticket which might be a cheaper alternative for us next time? For an independent activity I think it's very reasonably priced and I have no hesitation in paying for preserving such a lovely piece of history. We do the Santa Express every year and its great,well worth it. 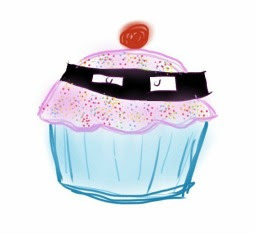 A shame they didn't do as well with the Halloween festivities though.